Successfully Added Xiaomi WiFi Router - 2.4G WiFi, 300Mbps, Wide-Range, APP Support, Dual Antenna, Support iOS And Android Phones to your Shopping Cart. With this wireless router from Xiaomi, you’ll able to bring ultra-fast internet into your household. This cool electronic gadget brings along great connectivity. It provides all your electronics with a stable internet connection. With its 300Mbps transfer speeds, you’ll be able to smoothly browse the web without experiencing any lag. Besides basic web browsing activities, it also supports you in playing online games, streaming movies, and downloading files. From now on, you and all your loved ones will be able to enjoy great connectivity. Thanks to its large range, it is able to cover multiple rooms in your home or apartment. It even comes with up to 7 sub-devices (1 included in box) that can be installed in a second room to extend its range even further. This makes it the perfect WiFi router for people that wish to enjoy connectivity throughout their entire home. The Xiaomi Wireless Router features a small and stylish design. This allows you to place it anywhere in your household without needing to be bothered by its presence. Additionally, it could be easily placed behind a sofa or inside a cupboard thanks to its miniature size. Your WiFi router comes with Dual Antennas that further increase its transfer speeds and internet range. The gizmo can be easily installed without needing any technological knowledge. Thanks to this, your WiFi router brings along great usability for anybody out there. If you are suffering from a laggy internet connection and wish to enjoy faster WiFi speeds at an affordable price, this mini router is perfect for you. 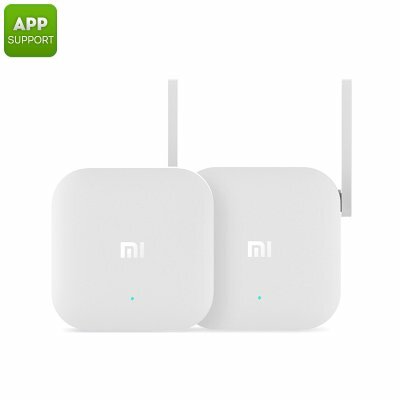 This Xiaomi WiFi router comes with a 12 months warranty, brought to you by the leader in electronic devices as well as wholesale electronic gadgets..
Arabic: - وأي فأي جهاز التوجيه - Chinese Simplified: - 无线路由器 - Czech: - WiFi Router - Danish: - WiFi Router - Dutch: - WiFi Router - French: - Routeur WiFi - German: - WLAN-Router - Hebrew: - נתב WiFi - Hindi: - वाईफ़ाई रूटर - Italian: - Router WiFi - Japanese: - WiFi ルーター - Korean: - 와이파이 라우터 - Malay: - WiFi Router - Norwegian Bokmål: - Trådløs ruter - Romanian: - WiFi Router - Russian: - WiFi маршрутизатор - Spanish: - Router WiFi - Thai: - เราเตอร์ไร้สาย - Turkish: - WiFi yönlendirici - Vietnamese: - WiFi Router.